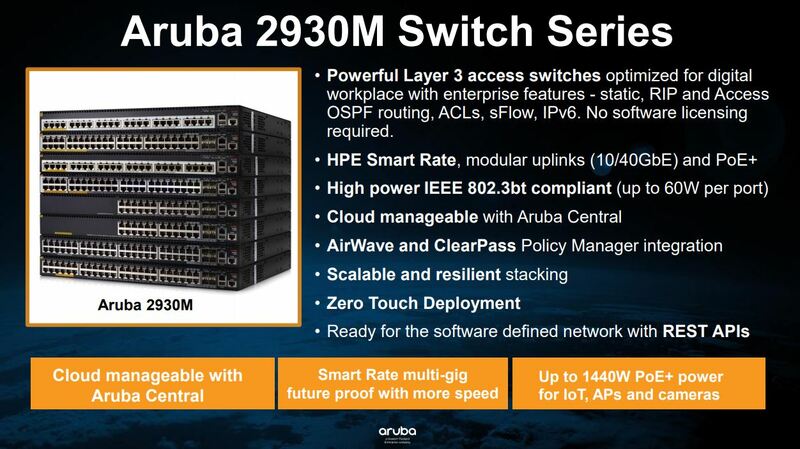 HPE subsidiary Aruba today announced Aruba 510 802.11ax access points, 2930M 802.11ax-optimized switches, and NetInsight AI performance monitoring system for edge business performance. The M2930 is a multi-port 802.3bt compliant switch, capable of delivering 60W over Ethernet and a total of 1,440W. As an enterprise switch, it comes with features like multi-level traffic priority, AirWave and ClearPass policy manager integration, and is cloud manageable through Aruba Central. It’s available in 20 and 40 port variants. The Aruba 510 access point (AP) carries a 5GHz radio (4×4) and a 2.GHz (2×2). Together, the AP can support of to 512 associated clients. It also has a Zigbee radio built-in for native compatibility with Zigbee door locks and smart labels. The AP can be powered through an Ethernet cable over PoE for easy installation. 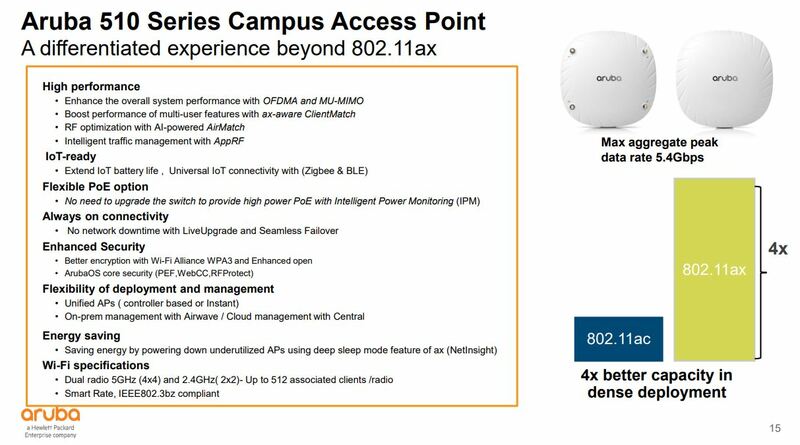 Both the Aruba 510 access point and the M2930M switch have support for 802.11x. The 802.11ax WLAN standards – also known as Wi-Fi 6 – has many performance advantages over 802.11ac including higher QAM support, uplink MU-MIMO, and higher throughput. The devices also support always-on connectivity so that they can be updated without taking them offline. In addition, the Aruba 510 supports the new WPA3 standards and Enhanced Open to increase security for when clients connect to open networks. NetInsight uses an artificial intelligence (AI) system to analyze the performance and demand of a network, then send suggestions to the network admin to be implemented. 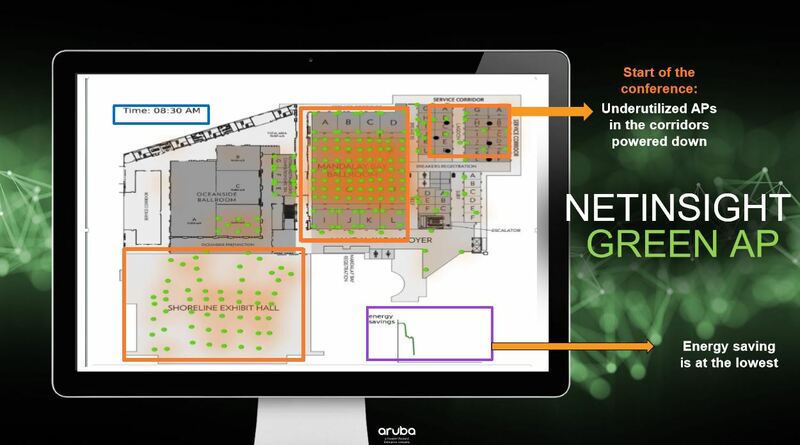 Aruba demonstrates its point by showing Green AP, a function of NetInsight can intelligently disable groups of APs based on the location of and demand of the network traffic. Saving power while minimizing impact to clients.